Looking for good pork free places to have lunch in Port Dickson can be a daunting task. So here’s a simple list of restaurants that serve nice and tasty lunch in Port Dickson. Here is where those staying in Port Dickson normally go for lunch. This restaurant have a few branches around Port Dickson nevertheless the one I like to go is located en route to Lukut town. 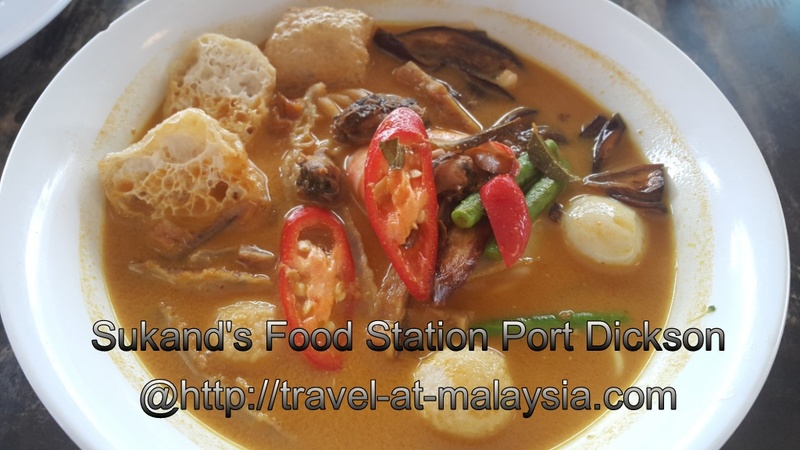 At the Restoran Kulit Kayu Manis, there is a variety of local dishes to select from, all in all about 20 different dishes.. You choose what you want from the food displayed and they only charge you what you have taken. Its quite reasonably priced. The restaurant is quite popular with the locals as well as the regulars to Port Dickson, therefore you should head there early because the majority of the dishes will likely be finished by 1.30pm. I like eating here cause not only is the food nice, the service and ambience is also good. The landmark to look for is the Sunshine Hotel since it is located below the hotel. 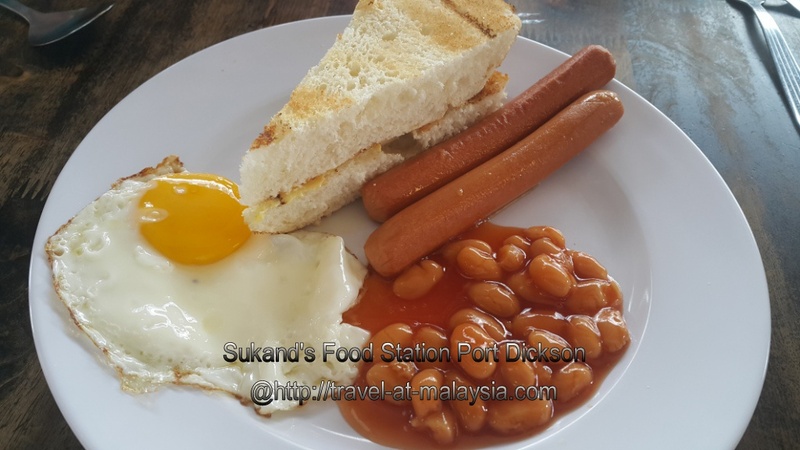 Sukand’s Food Station Kopitiam is situated in the city centre of Port Dickson, The landmark to look for is the Ambank as well as the Port Dickson Bus Terminal. Their signature dish is the Hailam Chicken Rice which I usually order for my sons. As for me I will always have their Mee Kari and my wife naturally the laksa. They also serve western food here like mushroom soup, fries, chicken chop, waffle with ice cream and so on. As for beverages they have the standard kopitiam fare such as local coffee, ice coffee, sirap and many more. It might be a little pricey to some however service here is quite fast, Sukand Food also serves breakfast and dinner too. When we were residing in Shah Alam, we used to frequent Port for a short getaway as its about an hours drive from Shah Alam. Whenever we are in Port Dickson, we will visit the Medan Selera Seri Bayu for their Siput Sedut. Siput Sedut which could be regarded as the Malaysian Version of the Escagot. In Port Dickson they usually cook it with coconut milk just like my grandmother used to make. A word of caution, as with all shell fish be careful exactly where you eat. 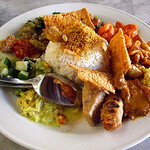 I had a bad case of diarrhea when I ate at a shop in Teluk Kemang. Medan Selera Seri Bayu is located just infront of the Bayu Resort or PD Yacht Club. Its basically a food court with shops selling a variety of pre cooked dishes for you to choose from. Same as the Restaron Kulit Kayu Manis, pay what you have taken. Medan Selera Seri Bayu is located near the Port Dickson military camp, lunch is normally very busy with soldiers having lunch.